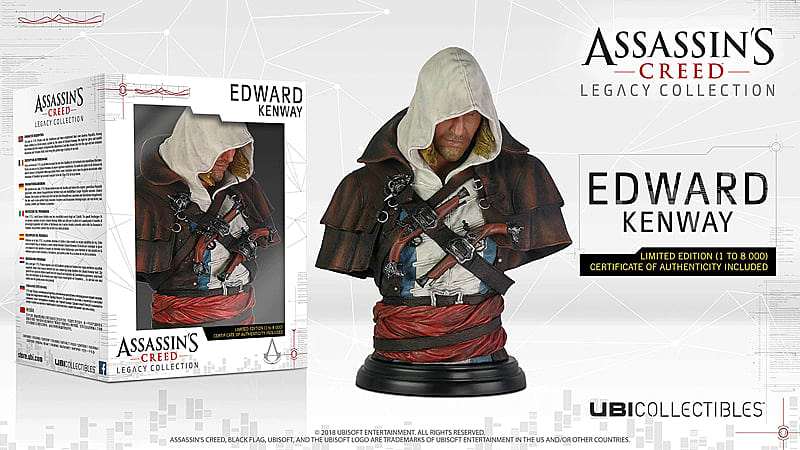 EXTREMELY LIMITED EDITION - Only 8,000 Worldwide! 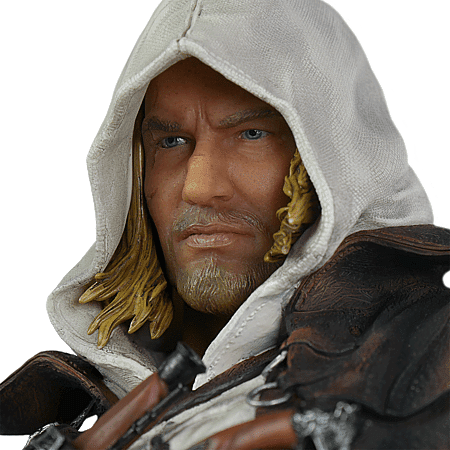 Edward Kenway is one of the most popular characters in Assassin’s Creed. 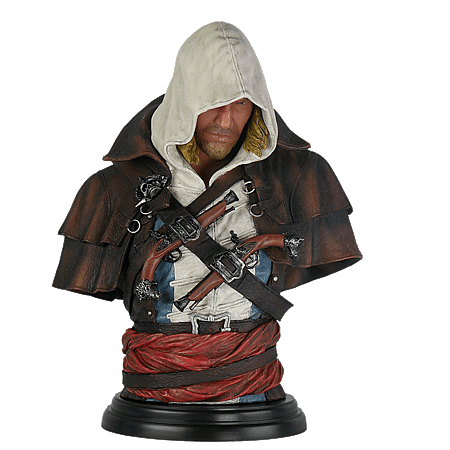 Discover the Assassin’s Creed IV: Black Flag pirate bust from Ubicollectibles. 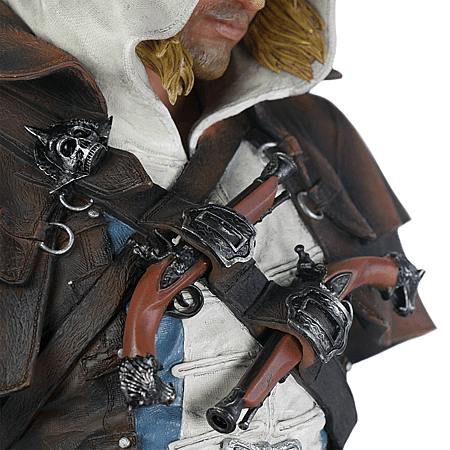 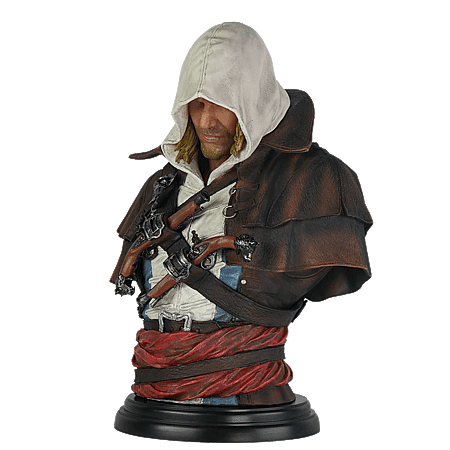 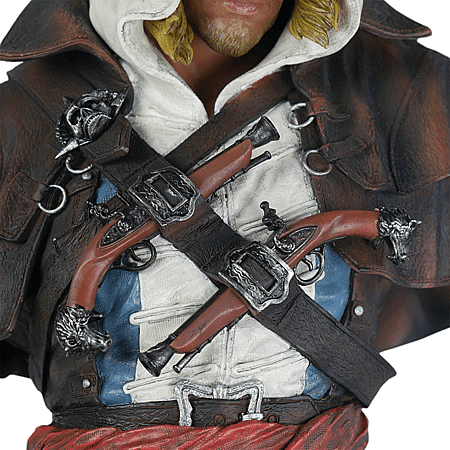 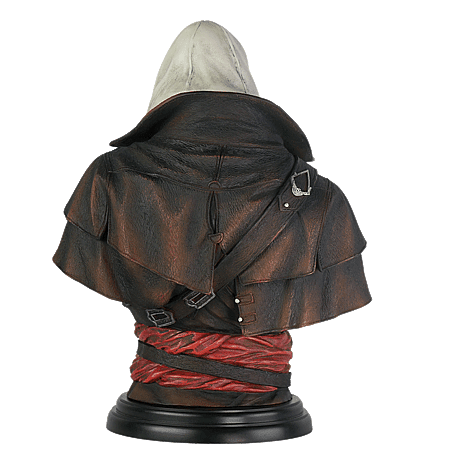 This bust is the latest addition to the Legacy Collection, which includes all the most charismatic characters from the Assassin's Creed series. 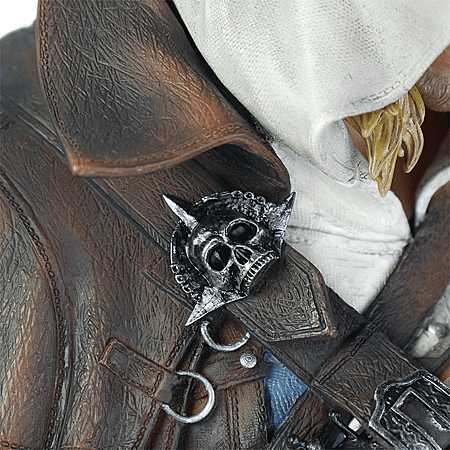 Realistic clothing texture, including Edward’s skull pin.